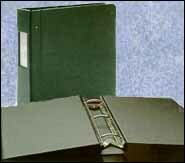 Expandable post binders, wide selection Binding case styles, hardcover turned edge Poly, welded Vinyl View pockets Large binder, 3 inch, 5 inch. Heavy Duty Poly expandable post binders is a stock item at Crane meaning you can purchase just one (1) binder. No need to pay for a full carton when you only need a few Trojan Post binders. Colors Black, Blue and Red. We over build Trojan post binders by using super thick 110 GA HDPE. Nickel Tubes Solid post, expandable binder Available new lock operates from top. Covers slide apart; expansion for readability Heavy duty nickel plated hardware, Large Binder. Different Styles Catalog Post . binder. Big Binder. Trojan Expandable 3 Post Binder, Fabric Reinforced hinge , Trojan Vinyl View Binder Clear pockets for preprinted inserts. QCV 4 expandable post , AJAX 4 inch Binder, metal hinge post binder. QCV4, AJAX, TROJAN CATALOG Leviathan 11 x 17 Post binder 4 - 7 Inch. 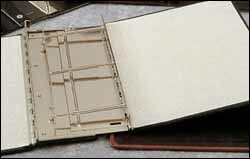 Hard to find or obsolete binders by Borum & Pease, BOK, McBee Binder, Viatech Publishing, Avery or Wilson-Jones? Congratulations! You tamed the internet, you found a solution. Crane is expert at producing small quantities at a moderate cost. 3 Ring custom binders, Ring binders, prong Sectional post, all types. Phone us now 800 298 5555 Today!